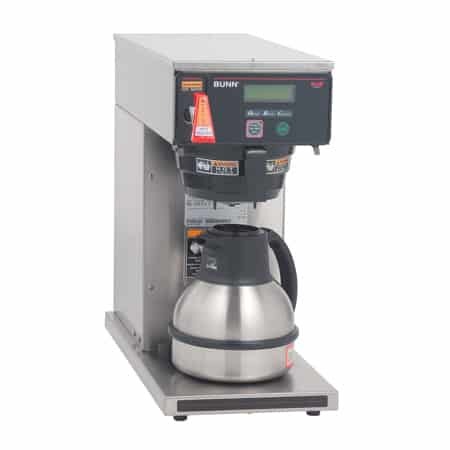 The BUNN Easy Pour Decanter is a sturdy coffee pot with a high-quality steel base to help prevent breakage from accidental contact on counter tops and other hard surfaces. 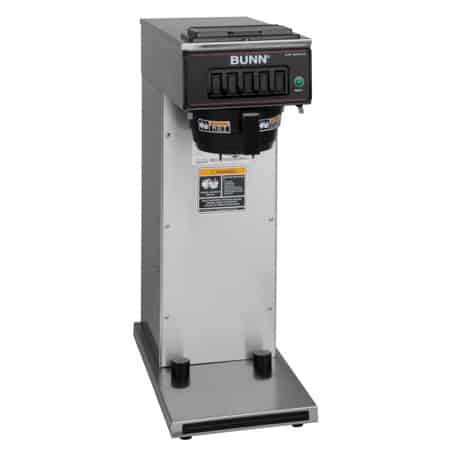 The BUNN Easy Pour Decanter is a high-quality, sturdy coffee pot. 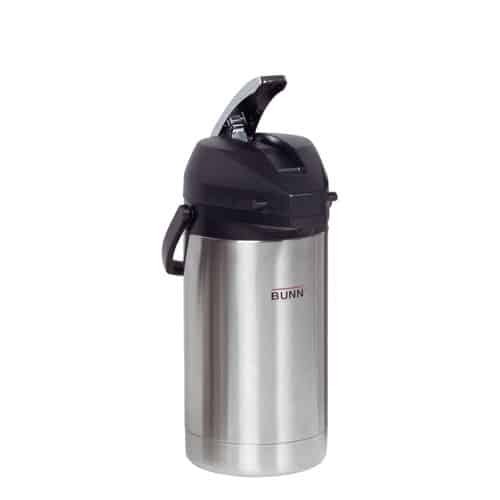 With it’s high-impact-resistant material, the container and handle are molded as one solid piece. This design provides sturdy extra-strong construction that assures long-lasting life. The base is constructed of high-quality steel to prevent breakage from accidental contact with solid objects such as counter tops. It is also made from materials approved by NSF for potable water applications. For your convenience, the lip is designed for fast drip-proof pouring from the front or either side. 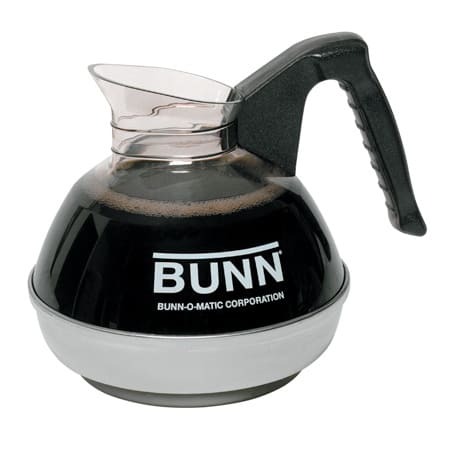 This BUNN Easy Pour Decanter is constructed to hold coffee at the proper temperature, making it easier to keep fresh-brewed coffee fresher, longer.